This is no childâ€™s toy, although one might think that. 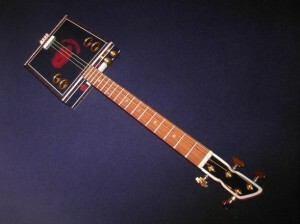 Truth be told, when I first heard of cigar box guitars a long time ago, I thought that my friends were pulling my leg. Why would I want to make one? Then I did some reading and I found out that cigar box guitars were actually used by â€œrealâ€ musicians! According to Dr. Tony Hyman, the curator of the National Cigar Museum, cigar boxes prior to 1840 were actually crates. These crates could hold up to 100 cigars at a time. As time went by, manufacturers realized that the crates were not an efficient means of transporting cigars. Hence, smaller cigar boxes were created. Along with the proliferation of cigar boxes, the popularity of cigar smoking increased as well. Naturally, a lot of smoked cigars meant a lot of empty cigar boxes. At this point, enterprising people started picking up those empty cigar boxes and started making good use of them. From guitars to banjos and fiddles â€“ empty cigar boxes were turned into useful things. Whoever got started on this probably didnâ€™t have any idea of what was in store for these nifty little things. Well known musicians like Carl Perkins, Jimi Hendrix, George Benson, Ted Nugent, BB King, and Ed King of Lynyrd Skynyrd have all, at one point, played with cigar box guitars! So it may be easier to buy guitars these days, but if you have some spare time and you want to let your creativity flow, why donâ€™t you try your hand at making a cigar box guitar? Check out this video at Walyou.